and to enhance the natural resource for the benefit of all. Non - profit Organisation. No. 004-011-NPO. 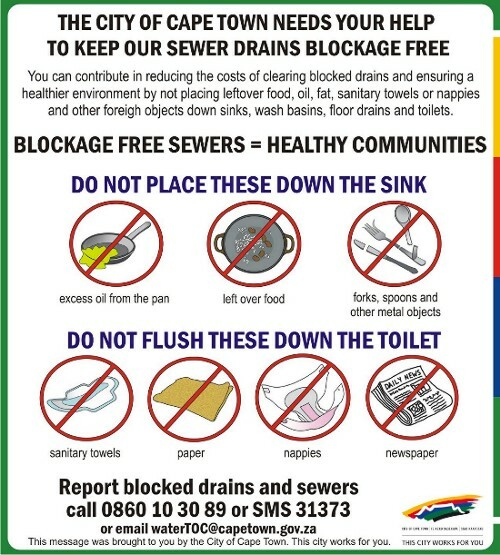 City of Cape Town - free drop off sites - for community refuse. See the list for your nearest refuse site. Mr Williams Schaapkraal 021 703 3070 / 1 - emergency 24 hours South only. Please give clear and concise descriptions of the street and suburb and what you see in the water course. If it is possible take digital photographs. Please give clear and concise descriptions of names, the street and suburb and what you see spilt. Natural environmental enquiries at Zandvlei. Contact the Staff or phone/fax 021 701 7542 for general enquiries.